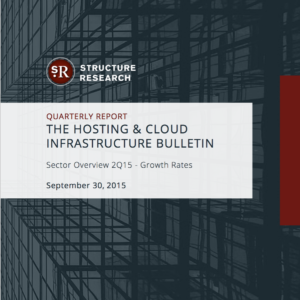 View cart “Marketshare Report: Global Data Centre Colocation” has been added to your cart. The data centre peer group remains healthy. Growth is steady across the board and the Asia-pacific region, in particular, is showing strong growth trends. Wholesale colocation is a driver in the current environment, while standard retail colocation is steady but not spectacular. What is keeping retail colocation going? Interconnection services. Organizations are connecting with cloud platforms in growing numbers and the choice of providers are increasingly based on the availability of interconnection ecosystems. The add-on revenue from interconnection is driving ARPU and helping providers win not just new customers, but additional workloads from customers already housed in colocation data centres. of this year, things have started to trend upward again. The global cloud build out is still very much in progress and existing cloud deployments are adding capacity on a regular basis. All of this points to continued demand for colocation. Steadiness in utilization rates speak to a maturing market that is also operating at high levels of efficiency. Capacity is being brought online in a more disciplined manner and it fills quickly and predictably. Pre-commitments are the norm in wholesale and existing customer demand for expansion capacity is consistent. Much of what is built and brought online is spoken for. The reality is that in a maturing market, net new customers are getting harder and harder to find. The game is more about serving existing and strategic customers and their requirements. This allows providers to avoid over-building and drive scale and efficiency through capital and resource deployment that is much closer to just-in-time. 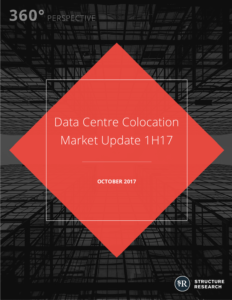 This report takes an in-depth look at the performance of the publicly listed colocation providers on a global basis. We drill into aggregate revenue and growth rates for both colocation and interconnection services. 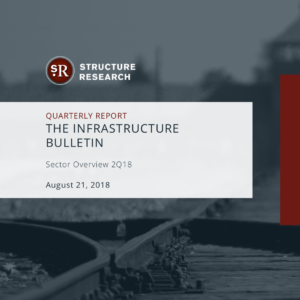 The report also presents supplementary analysis of leasing uptake, colocation inventory and utilization rates, with q/q comparisons and splits between the retail and wholesale segments. Finally, there is detailed tracking of customers and vertical segment breakdowns.